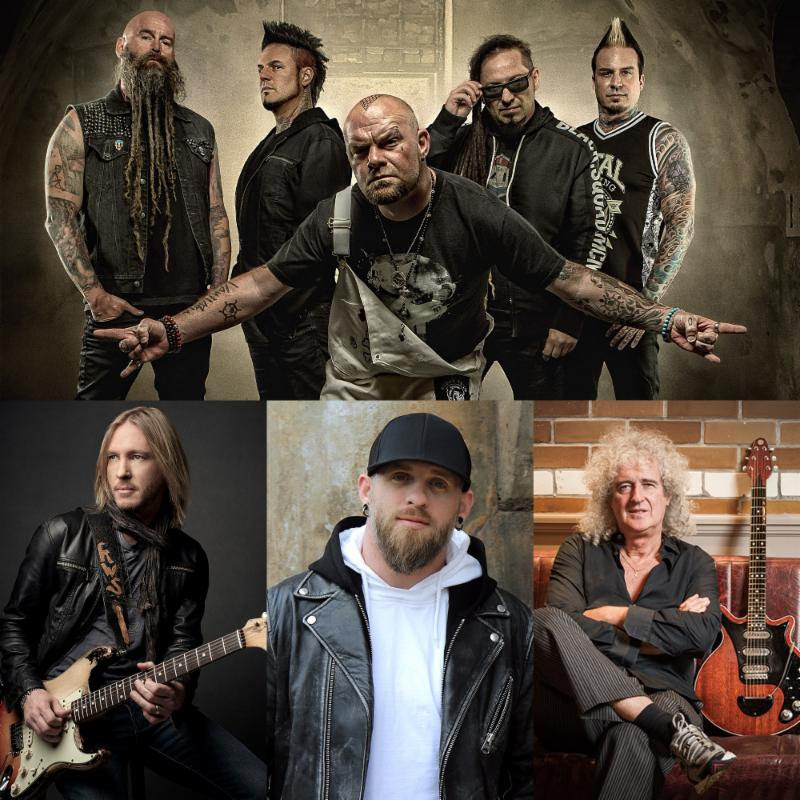 The multi-platinum rock group FIVE FINGER DEATH PUNCH has teamed up with the legendary BRIAN MAY of QUEEN and two of the biggest names in country and blues rock, BRANTLEY GILBERT and KENNY WAYNE SHEPHERD to record a special version of the song “Blue On Black” mixed by Kevin Churko (Ozzy Osbourne, Shania Twain, Disturbed). Titans in each of their respective genres, the artists came together to merge country and mainstream rock to re-create the classic song originally recorded and co-written by SHEPHERD. Taking Country Rockto the next level, “Blue On Black” is out today worldwide via Prospect Park (North America) and Eleven Seven Music (ex. North America). The song is available HERE and the artists also premiered an official music video HERE for “Blue On Black” showing the creation of the song. GARY SINISE, the Golden Globe and Emmy Award winning actor and Founder of the GARY SINISE FOUNDATION expresses his gratitude to the artists saying: “I want to send my thanks to Five Finger Death Punch, Brian May of Queen, Brantley Gilbert and Kenny Wayne Shepherd for their support of The Gary Sinise Foundation and our efforts to give back to our Nation’s First Responders. I’m so grateful to have all of these incredible artists from different genres coming together to support our mission with this great song, ‘Blue On Black’. I believe while we can never do enough to show our appreciation and gratitude to our Nation’s defenders and the families who sacrifice right alongside them we can always do a little more. And you all are doing just that. So I salute you, and I thank you all. God bless.” Watch Gary Sinise speak about “Blue On Black”HERE. 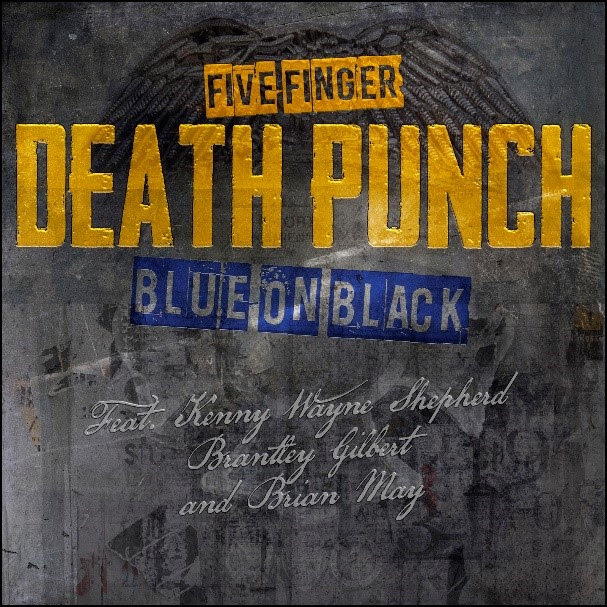 Additionally, Five Finger Death Punch’s original cover version of “Blue On Black” has already generated over 50 million on-demand streams in the U.S., and is one of the most-consumed songs on the band’s current album (averaging over 1 million U.S. streams per week). 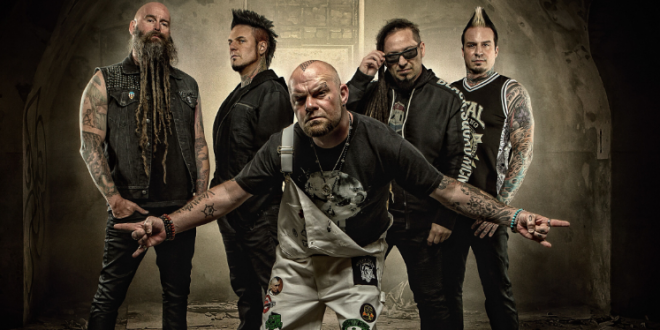 The song features distorted guitars, pummeling percussion and a swaggering chant that marks a surprising outlier on FIVE FINGER DEATH PUNCH’scurrent and seventh studio album, AND JUSTICE FOR NONE. 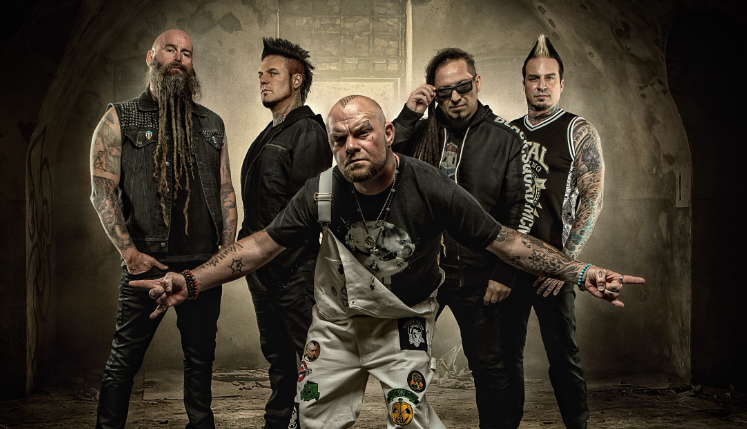 In the U.S. alone, FIVE FINGER DEATH PUNCH have sold 4.5 million albums, 10 million digital songs and over 3 billion streams total.